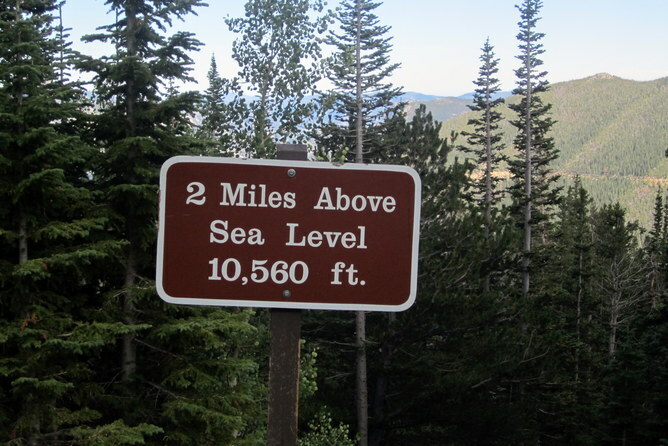 OK, but which sea’s level? And how do you know what it is? The level of the ocean around the Earth, and therefore the location of the shoreline, are directly related to the total amount of water in the oceans, and also closely tied to climate. 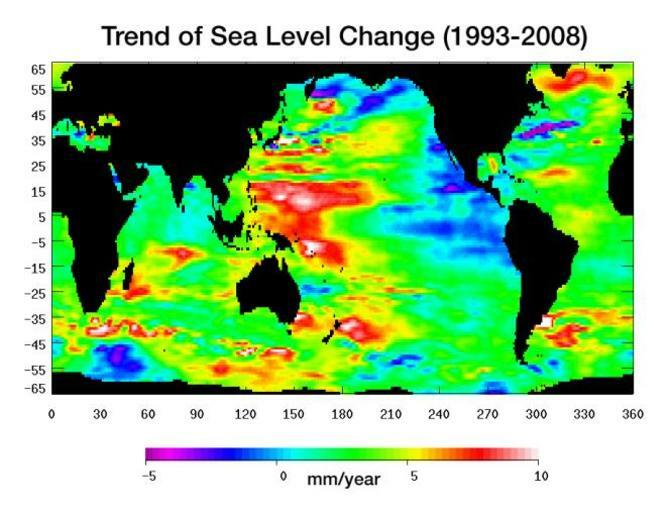 As climate changes, so does sea level. Throughout the history of the oceans, which goes back about 3.5 billion years, give or take a few million, climate has constantly changed and, in response, sea level has gone up and down. As seawater warms, it expands and sea level rises. As the Earth warms, ice sheets and glaciers melt and retreat, adding more water to the oceans, which raises sea level. People have been keeping track of sea level, or the elevation of the oceans, for about 200 years. Until fairly recently, this was done with tide gauges, which are water-level recorders anchored to some structure along the coastline. It might be a wharf, a concrete breakwater or some other solid structure that is stable over long periods of time. 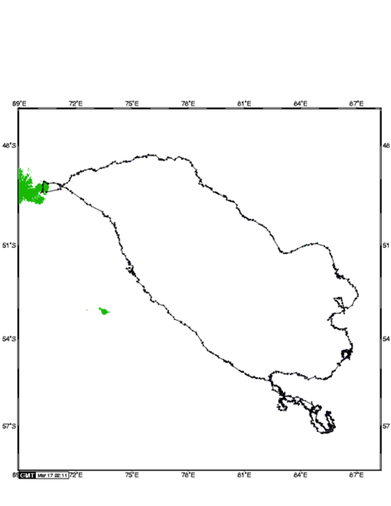 The oldest tide gauge in the world is on the coast of Poland and was installed in 1808. In the United States, there are two tide gauges that have been in operation since 1856, one in New York and one in San Francisco. There are many others as well, but most of them are much newer; many were set up over the past 50-75 years. Installing a tide gauge in Alaska. 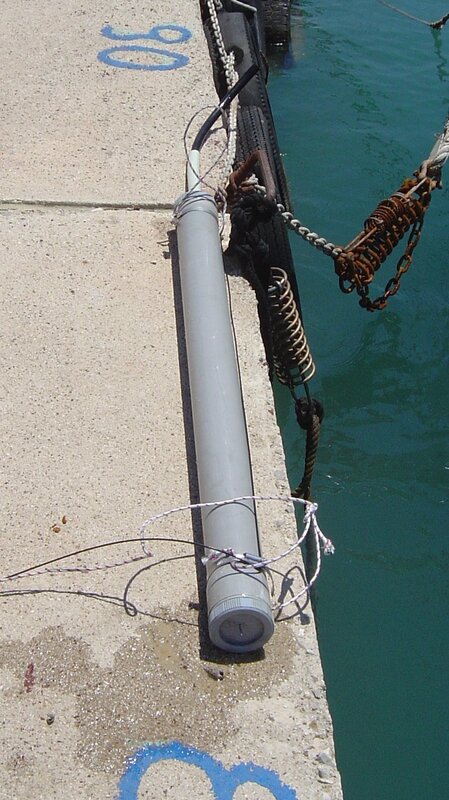 A tide gauge is essentially a large pipe inserted into the ocean, which has a float inside that moves up and down as the water level changes. As the tide rises and falls each day, these gauges record those changes in water level, day after day, year after year. These instruments were first set up to provide accurate information on water depths so ships could enter and leave ports safely. 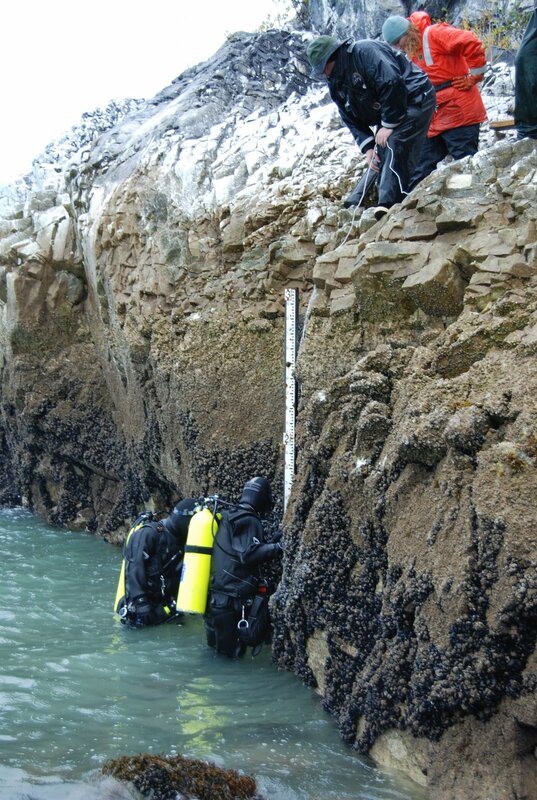 As time went on, however, it became clear that sea level recorded on these instruments was rising globally. Each of these official tide gauges keeps track of sea level at a particular coastal location. Many coastal areas are not stable, however. Some are sinking (such as New Orleans or Venice), and some are rising (Alaska and Scandinavia, for example). Each tide gauge keeps track of how sea level is changing relative to the land on which it is anchored. Even though sea level rose around the world at a rate of about 1.7 millimeters per year over the last century (nearly seven inches per century), because some gauges are on coasts that are rising and some on coasts that are sinking, these local sea-level rise rates will vary. In parts of Alaska, the land is rising faster than sea level, so the tide gauge actually records a drop in sea level relative to the land. These geographic variations were resolved in 1993 when two satellites were launched that use radar to measure the level of the ocean very precisely from space. This high-tech approach eliminates the problems of land motion on Earth and has given us a new global sea-level rise rate over the past 22 years of 3.2 millimeters per year, the equivalent of 12 inches per century. Elevations on land, contour lines on maps and depths on nautical charts are based on the long-term average of sea level. This is complicated by the fact that sea level around the world at any instant is not the same, due to local variations resulting from differences in water temperatures, currents, atmospheric pressure and wind. In order to bring some order to all of these geographical variations, and to provide a constant point of reference, a datum or base level was established based on averaging out the elevation of sea level from many tide gauges over an extended period of time. This datum is now called the North American Vertical Datum (or NAVD) and is the elevation (close to mean sea level) on which all map elevations are based. So if a wharf, highway or building is “20 feet above sea level,” it is 20 feet above this official North American Vertical Datum. Eyeontherise : Ever wonder whether your home would be affected by rising sea levels? Florida International University has launched a new web app called Sea Level Rise Toolbox that shows the possible impact of a 6-foot rise in sea levels. After downloading the free app, it allows users to type in their home address, then click on an orange tab to see the projected increase of water levels. 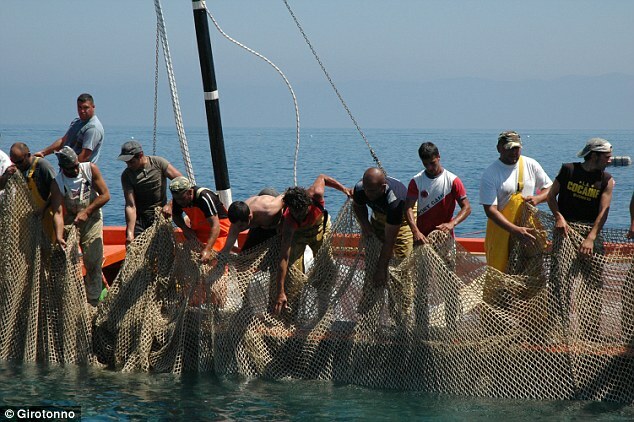 Last week, Google, Oceana and SkyTruth announced they were launching a battle against overfishing everywhere. A noble pursuit, Global Fishing Watch combines interactive mapping technology and satellite data with the all-important Automatic Identification System (AIS) transmissions every tanker, passenger ship and commercial vessel above a certain size is mandated by the UN to send. Global Fishing Watch then visualises the routes taken, to show when a fishing boat strays into or lingers in waters it shouldn't. 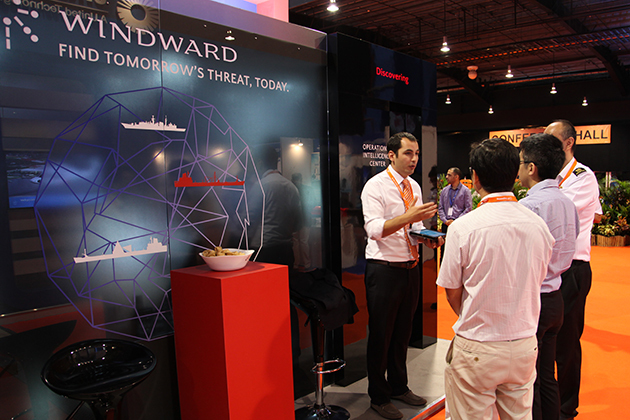 The only problem, maritime analytics company Windward tells us, is that any vessel engaging in illegal activities is gaming the system and manipulating AIS data. We can't rely on what we're seeing. "Until 2012, AIS data was super reliable because it wasn't commoditised. Nobody had it, so no one needed to clean the data or check it," Ami Daniel, a former naval officer and cofounder of Windward, tells WIRED.co.uk. 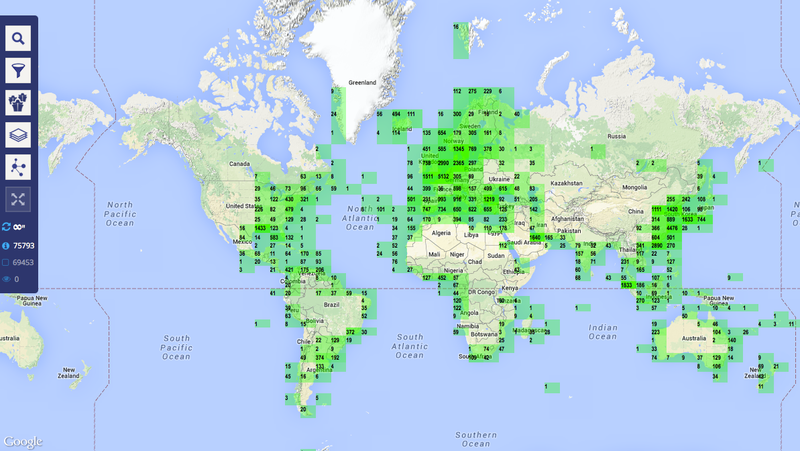 "Two years, there was suddenly so much data out there, so many open source portals like marinetraffic.com providing free access to [vessel positions] for everybody. People understood they were being looked at. Once that happened, spontaneously different industries started to manipulate the data." According to a report by Windward that looked at AIS data from mid-2013 to mid-2014, there has been a 59 percent increase in GPS manipulations. Windward is crunching AIS data -- the more than 100m shipping data points produced every day -- and satellite imagery with its algorithms, taking into account the aforementioned manipulations and comparing these against past behaviours, home ports and vessel ownership, as well as general trading patterns and economic profiles. Its software calculates how urgent the erroneous data stream is, then alerts its clients to the fact. These include oil and gas companies in South America and West Africa and governments in South East Asia and West Africa. Interested parties include navies, as well as national intelligence agencies. There are many reasons a vessel would choose to manipulate its AIS transmissions. At the most serious end of the spectrum are the illegal activities. 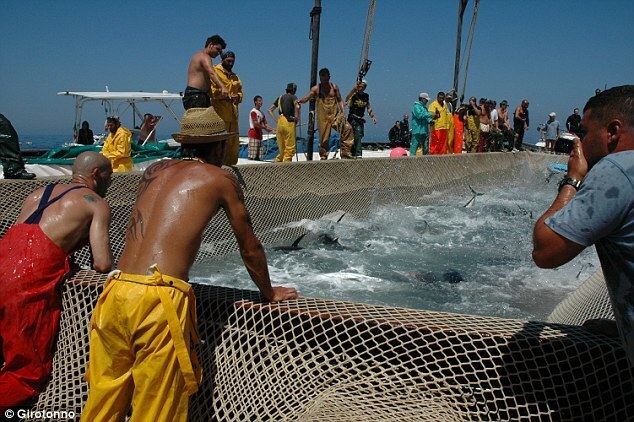 "The UN found a super strong connection between fishing and smuggling and terrorism," Daniel tells us. 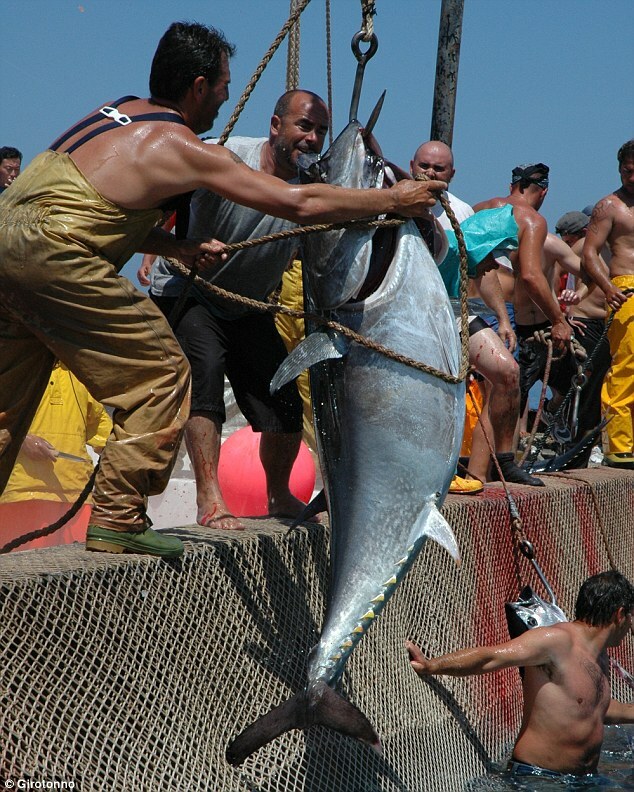 "Fishing vessels have defacto authorization to enter any point they want in the world because the fishing industry is a global one. So it's not irregular for a vessel to go from Africa to Europe. Yet everything they do in open seas in between is unaccountable." 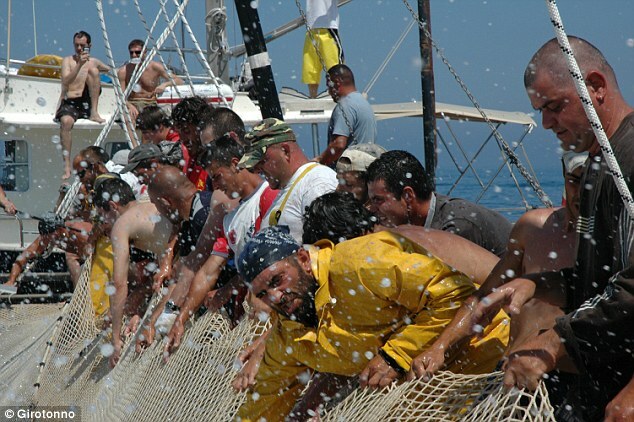 Human trafficking and smuggling are two of the most worrying reasons for manipulations. 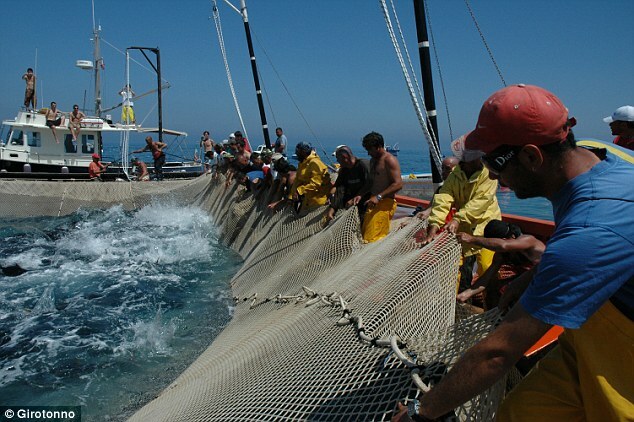 Then there are plenty of economics ones -- the vessels Google and co are trying to track, which are engaging in overfishing or fishing in restricted regions for profit. 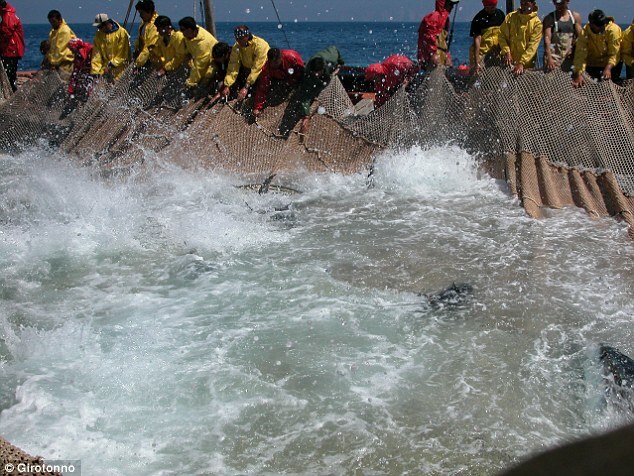 According to Windward's report, Chinese fishing vessels account for 44 percent of all GPS manipulations. "They want to fish wherever they want," says Daniel. 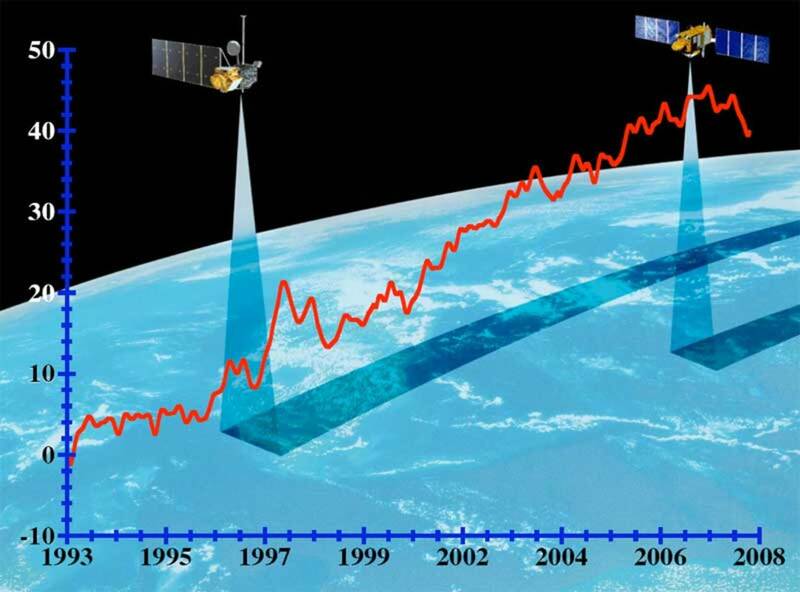 An illustration of AIS data manipulation in action, pertaining to GPS manipulation. It's also well known that there is a high demand for things like rhino horns and ivory in China, and that that demand is a key reason the illegal export trade in Africa has accelerated in recent years. It's interesting, then, to look at one of the visualisations Windward has created from its analysis. It shows a vessel turning on its AIS data somewhere off the south coast of Mexico. It then reappears near Chile, then bizarrely crops up in the middle of Antarctica, well and truly landlocked, before curving up and heading to China. It's so clearly doctored, but what's interesting is how it was doctored. Daniel says a common tactic among crews is to log GPS stats that show you're a few thousands kilometres south or north of where you actually are. Looking at this particular example, the vessel heading for China appears to have made a route that perfectly mirrors the outline of South Africa, just a few thousand kilometres south. Daniel says crews have been "crossing the cables", or physically connecting them to a computer and using software to manipulate the GPS coordinates. There's plenty that can be manipulated. The data sent through AIS includes longitude and latitude, speed, course, rate of turn, depth, its unique signifier (IMO) and more. Each manipulation might suggest a different reason, and that's what Windward is working to reveal with its algorithms. Altering the depth, for instance, betrays that you are carrying either less or more (in weight) than you should be, and could mean a number of things. in the Atlantic Ocean between 2012 and 2013. Same map, only centered on the Pacific Ocean. Map breaking vessels down by country of origin. 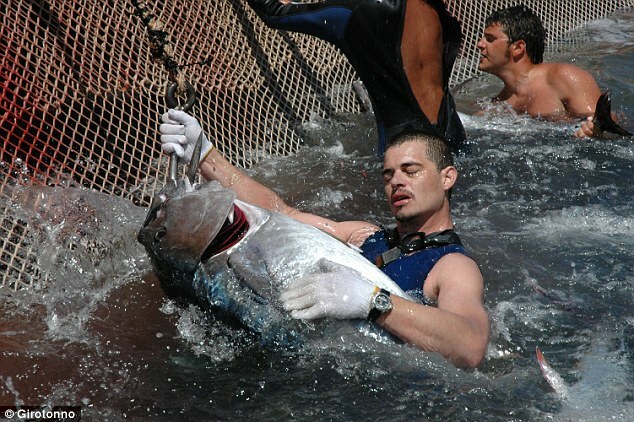 The existence of something like Global Fishing Watch, is inarguably a good thing. It isn't claiming to be battling human trafficking accurately, but shedding light on what is a huge global issue. 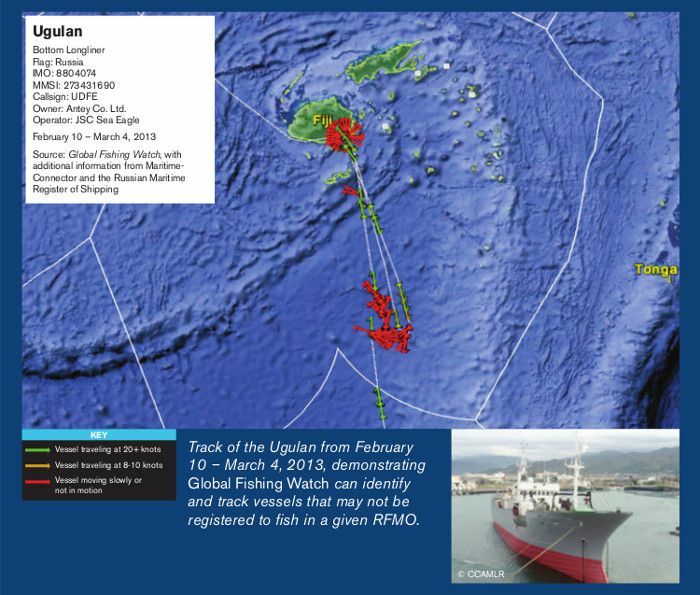 It focuses purely on fishing vessels, with its first interactive map featuring 3,125 ships, and their 35 million data points collected over 2013-2014. 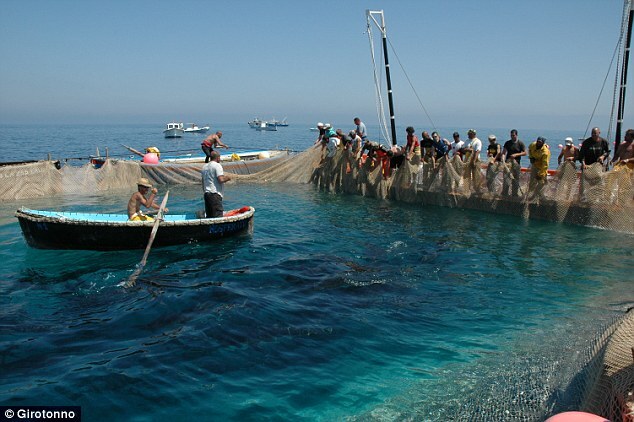 Oceana has referred to the tool as "groundbreaking", and it is certainly helping shed some light and transparency on the problem, the point being vessels are incentivised to show they are fishing appropriately and where they should be. The issue is, Global Fishing Watch is absolutely using AIS for a mission in was never prepared for. When the UN agency International Maritime Organisation mandated that every vessel turn on and use its AIS in 2002, it was purely for safety reasons. The data is transmitted back and forth between vessels that might be near each other, to ensure collisions are avoided -- and it's doing a good job of this all these years. In these instances, perhaps when your vessel is traversing a strait, the longitude and latitude is transmitted every few seconds. Many of the other data points are transmitted intermittently and manually. As Daniel puts it, "you don't have to be sophisticated at all in many cases -- you just punch in the code". So despite AIS being mandated, the world's oceans are essentially operating on what Daniel describes as "an honour system". 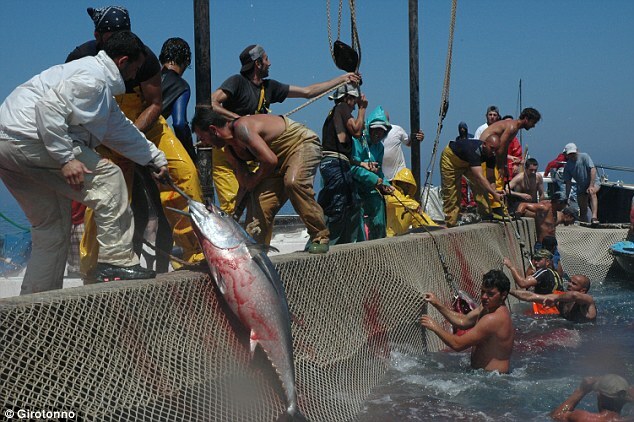 The obvious issue facing Global Fishing Watch is that the very vessels overfishing the waters are the ones that will be working to hide their tracks. 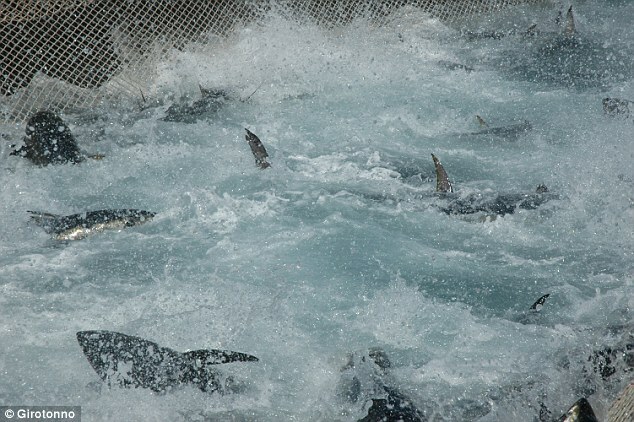 In fact, it will only be the inadvertent errors made by commercial and government vessels, and the very foolish behaviour of oblivious ill-doers, that will be caught out by Global Fishing Watch. It is only watching those that want to be seen. In an interview with our sister site, WIRED.com, Oceana's VP for the US, Jackie Savitz, admitted that false reasing were an issue, but that its model "can detect erratic AIS transmissions". "If we see pings from a vessel every hour for a month, then it goes silent, but suddenly comes back on weeks later, we can pick that up and possibly trigger enforcement against them for not transmitting as they are supposed to." The problem, as Windward points out, is that crews are becoming more savvy to the various AIS manipulations they can make -- it's not as easy as looking for those switching off any more. In fact, few would use this tactic as it is a rather obvious red flag. Windward’s maritime surveillance system (MarInt) shows a Japanese fishing boat that entered the Exclusive Economic Zone (EEZ) of Angola, allegedly without permission. So how can we even begin to stem this problem? Windward could be just one part of the solution, and in years to come as satellites become more cost effective, and there are more of them, we will have better data to attack the problem. In the meantime though, it's more about raising awareness to keep pace with those becoming savvy enough to game the system on a daily basis. One stat might go a way in helping that push. The Windward report compares the fact that 1 percent of ships are using fake IMO numbers (a 30 percent rise on the previous year), to airport security. 1 percent is equal to several hundred vessels being "'in disguise' at any given time", which is "akin to having over 1,000 people going through John F. Kennedy International Airport each day using fake IDs". In the context of airport safety and customs regulations, that figure would be staggering and totally unacceptable. Apply it to the open seas and suddenly the limits of our acceptance, is vastly lowered. Of course port authorities have a certain degree of responsibility and control. But just as we discovered when Ebola screening was first suggested for airports and ports, it would be virtually impossible to check every ship that comes to UK shores. One way of bringing more attention to the problem, is to get the world of finance involved. And that's exactly what Windward hopes to do. Daniel points that 90 percent of the world's trade happens at sea, and most of our commodities are transported that way. And while crude imports in 2013 were estimated to be worth around $2,823 billion (£1.8bn) -- half of which were transported by sea -- Windward points that "the financial trading on this volume is estimated to be nine times larger than the transport value". Financial trading models take into account things like commodity flows, and the false data could be leading to costly distortions. One of the reasons oil tankers might hide their positions or depths, Windward postulates, would be to impact global oil prices. As the two images show, the MMSI number of the Hamoda K and the Ramtin (Volga) match. The reach of this problem is vast and winding. As such, Daniel believes he and his 30-strong team has found the last "Wild West". He refers to this phrase over and over, and it's clear why. The technology revolution has crept up on every sector, its wildfire turning even the most traditional of industries on its head. 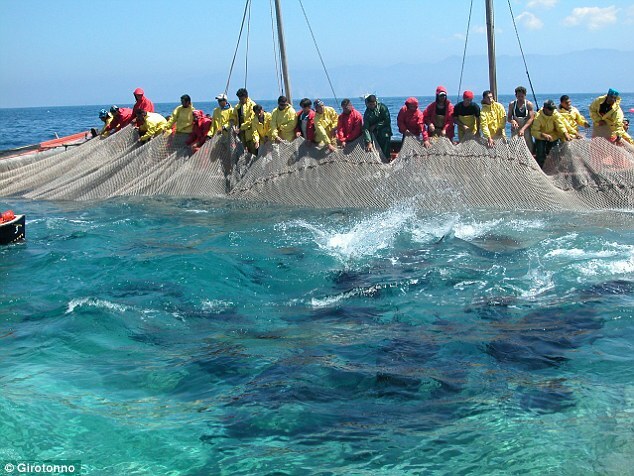 Considering the planet is made up of 70 percent water -- water being traversed by more than 200,000 AIS-fitted vessels everyday, from the smallest of fishing boats to cruise liners -- the fact that an accurate representation of activity on our seas escapes us, seems incredible. "It's one of the reasons I get up in morning everyday," says Daniel. "This isn't just another app -- this is something huge. This is all ocean trades. No one knows what's happening there, and therefore we think it's one of the last analogue domains waiting to be digitised. There's going to be a very big change. But we have to do it well, with the right data -- or there will only be more trouble." AIS is the industry standard -- it's reliable for the purpose it's designed for. For everything else, we need to make sure we are gaming the system too. 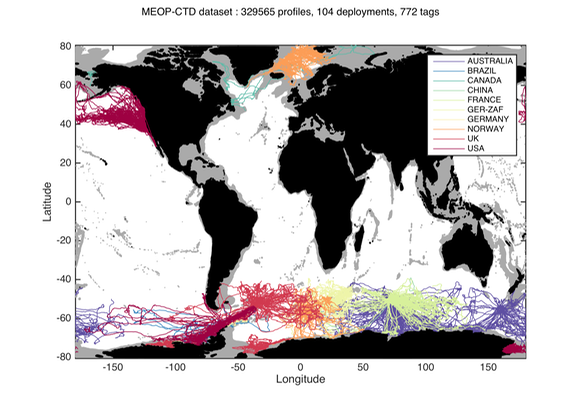 World map showing the distribution of CTD profiles (i.e. 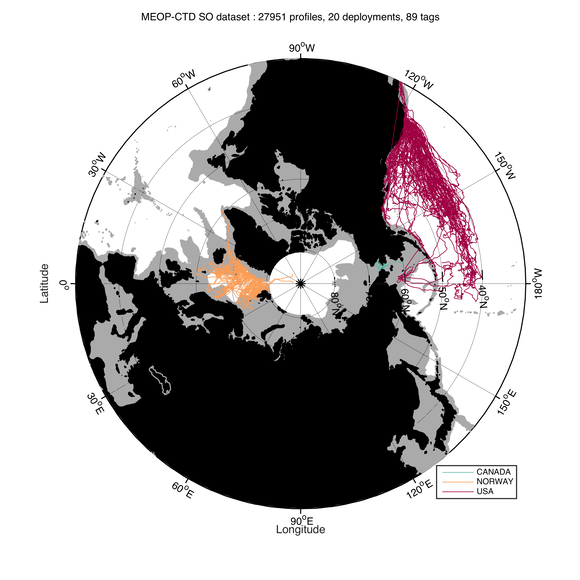 vertical profiles of temperature and salinity) currently available in the MEOP-CTD database. To gather information from some of the harshest waters on the planet, scientists turned to an unlikely source: An army of massive seals equipped with special sensors. 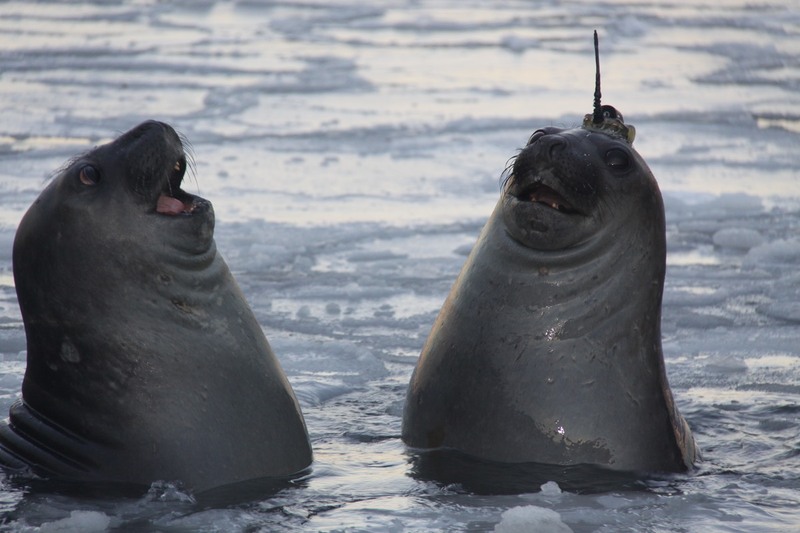 Since 2004, more than 1,000 southern elephant seals sporting non-invasive sensors have traversed the world and sent data back to researchers via satellite. 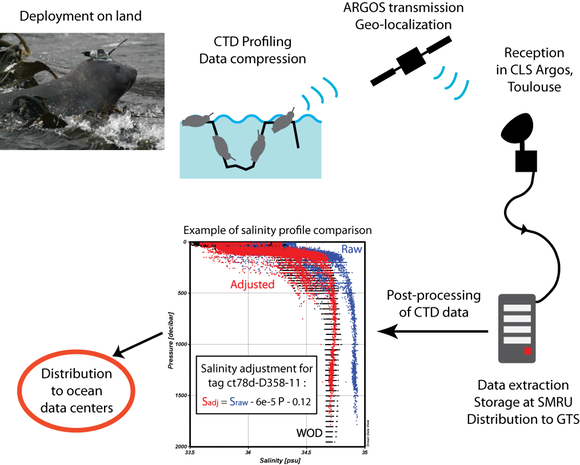 All that information from the seals' travels produced about 400,000 environmental profiles, making up one of the largest databases of polar oceans, according to University of St. Andrews, whose Sea Mammal Research Unit helped design the sensors. "The information sent back to us gives us details about the seal’s immediate physical environment," Lars Boehme, a lecturer at the University of Andrews, said in a statement. The online portal storing the data, Marine Mammals Exploring the Oceans Pole to Pole, launched Monday. Southern elephant seals, massive creatures measuring more than 20 feet long and weighing up to 8,800 pounds, live in sub-Antarctic and Antarctic waters. 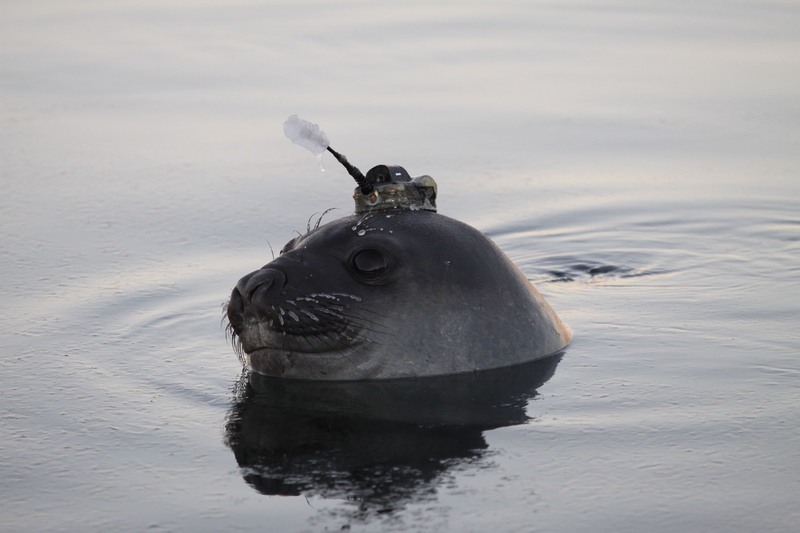 For this project, researchers caught and measured seals, then attached the sensors to their heads. The devices fall off when the animals molt. 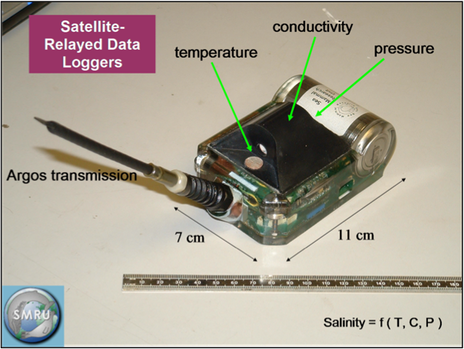 The battery-powered monitors, called CTD-SRDL, last up to a year and measure salinity and temperature. Seal dives, which can go as deep as 6,000 feet, feed information to the environmental profiles, AFP reported. Aside from the novelty of getting a bunch of giant seals to collect data from the ocean, "of more general importance is that data from these remote and inaccessible places now gives us a much clearer picture of the state of the world’s oceans," Mike Fedak, a University of St Andrews biology professor, said in a statement. "We have since shown that data from these far-flung locations is critical to understanding the broader state of the Global Ocean." 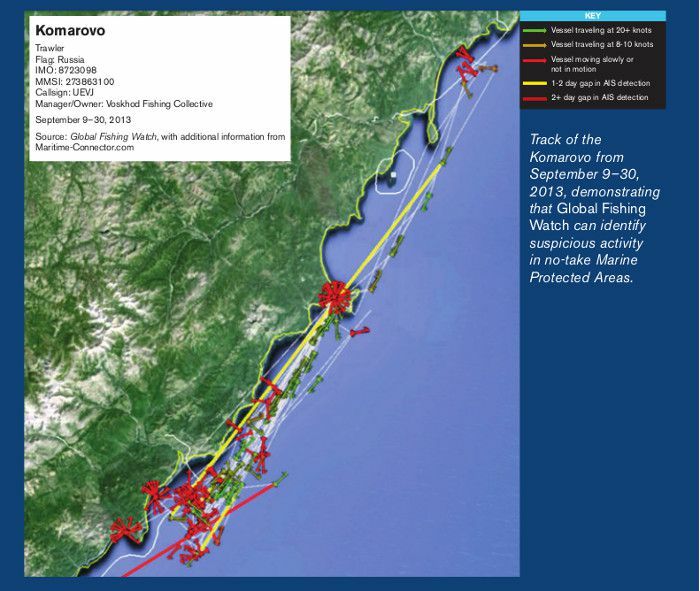 Fedak told AFP that the data can be used for things such as tracking the movement of glaciers. "They are taking data from places where there has been virtually no data before," he said. as well as the Heard Islands just below. Researchers involved in the project said that "sustained observations" are required to closely monitoring polar oceans. "Changes in the polar oceans have global ramifications and a significant influence on weather and climate," Boehme said in a statement. 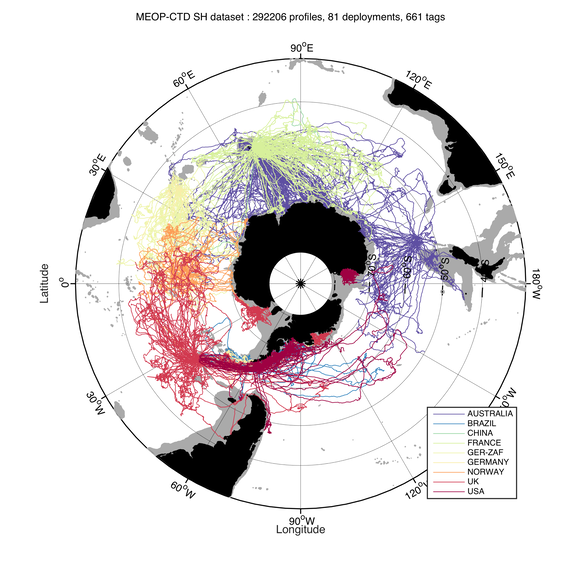 MEOP is a consortium of 11 countries and some scientists have already had access to the data for research on the temperature and salinity of oceans. Some of the information collected by the seals has been used in weather forecasting and by scientists studying how animals respond to changes in ocean conditions. using what they call the "chamber of death". 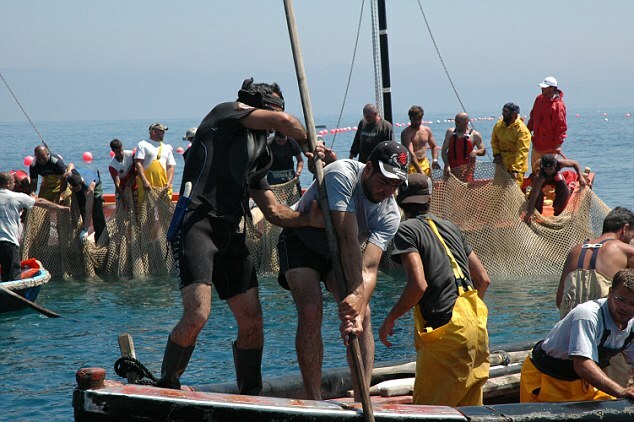 Although the practice has been criticized by animal rights charities and has been banned in other fishing ports in the Med. 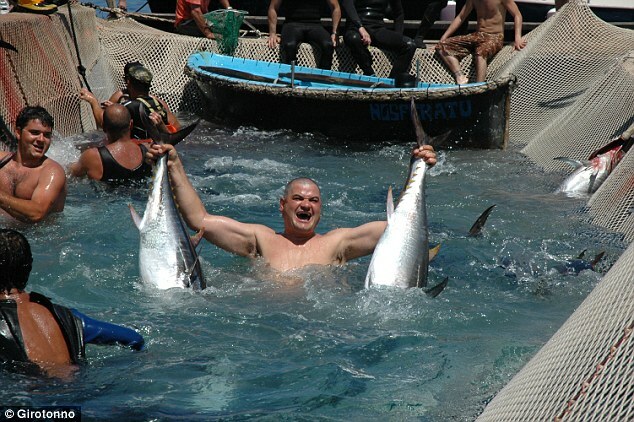 The Girotonno - or Tuna Go Round festival - begins today and attracts hundreds of amateur foodies and professional chefs from all over the world. 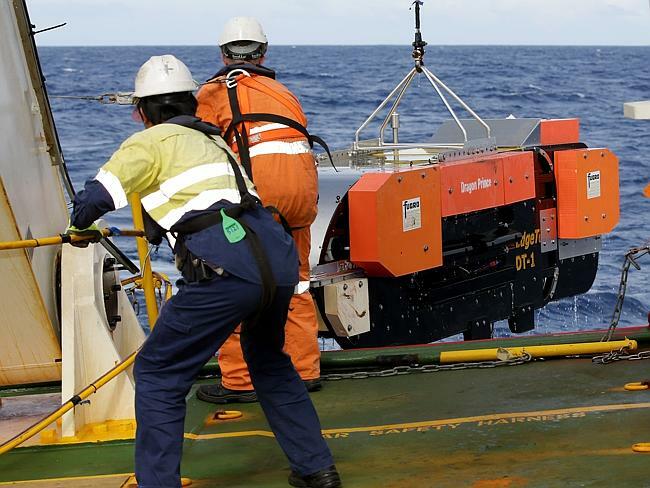 Geoscience Australia has been applying specialist marine geoscience knowledge and capability to assist in the search for missing Malaysia Airlines flight MH370. This video describes the key processes of bathymetric mapping and side scan sonar, which are used to gather data within the search area for missing Malaysia Airlines flight MH370. Nearly a year after embarking on a multi-million dollar quest to solve one of aviation's greatest unsolved mysteries, authorities and search teams are being criticized over their approach to finding Flight MH370 in the remote southern Indian Ocean. 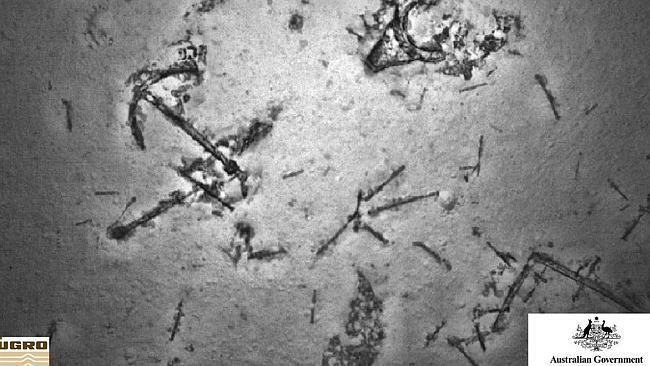 Experts involved in past deep water searches say the search to find MH370 could easily miss the plane as Dutch company Fugro, the firm at the forefront of the mission, is using inappropriate technology for some terrain and inexperienced personnel for the highly specialized task of hunting man-made objects. Heightening concerns, Australian authorities said on Wednesday that another search vessel, the Go Phoenix, which is using the world's best deep sea search equipment and crew provided by U.S. firm Phoenix International Holdings, would pull out within weeks. No reason was given for withdrawing the vessel from the quest. "Fugro is a big company but they don't have any experience in this kind of search and it's really a very specialized job," said Paul-Henry Nargeolet, a former French naval officer who was hired by France's air accident investigation agency BEA to co-ordinate the search and recovery of Air France Flight AF447 in 2009. "This is a big job," Nargeolet told Reuters. "I'm not an Australian taxpayer, but if I was, I would be very mad to see money being spent like that." Still, Nargeolet's concerns are echoed by others in the tightly held deepsea search and rescue industry, who are worried that unless the search ships pass right over any wreckage the sonar scanning either side of the vessels won't pick it up. Hard yakka ... Crew of the Fugro Discovery at search zone. Three of the bidders rejected for the MH370 contract, U.S. firm Williamson & Associates, France's ixBlue SAS and Mauritius-based Deep Ocean Search, have taken the unusual step of detailing their concerns - months down the track - directly to Australian authorities in correspondence viewed by Reuters. "I have serious concerns that the MH370 search operation may not be able to convincingly demonstrate that 100 percent seafloor coverage is being achieved," Mike Williamson, founder and president of Williamson & Associates told Reuters. 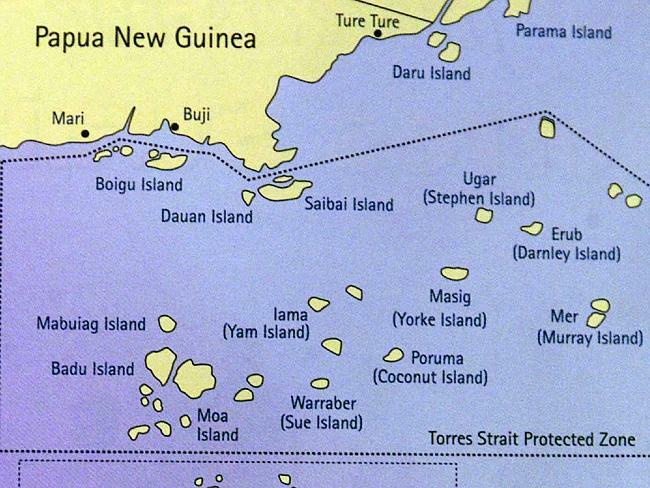 An area the size of the Torres Strait has been scoured by MH370 search vessels. The unchartered waters, buffeted by the Roaring Forties winds, stretch as deep as six km, hiding old volcanoes and cliffs in their depths. Australia, Malaysia and China earlier this month agreed to double the search area to 120,000 square kilometers (46,000 square miles). Whether Phoenix International, which has U.S. navy contracts and found the recorders of AF447, will be part of that extended search area is unclear after the ATSB said that Go Phoenix, owned by Australian firm Go Marine, will cease operating on June 19. Phoenix International, which was contracted separately by the Malaysian government, did not immediately return calls about its position. The Malaysian government also did not reply to requests for comment. 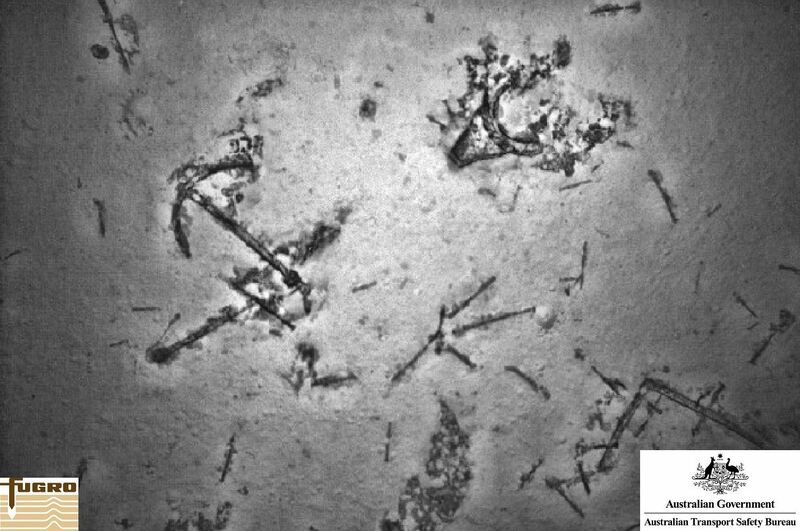 Found ... An uncharted shipwreck in the southern Indian Ocean. Previous discovery ... 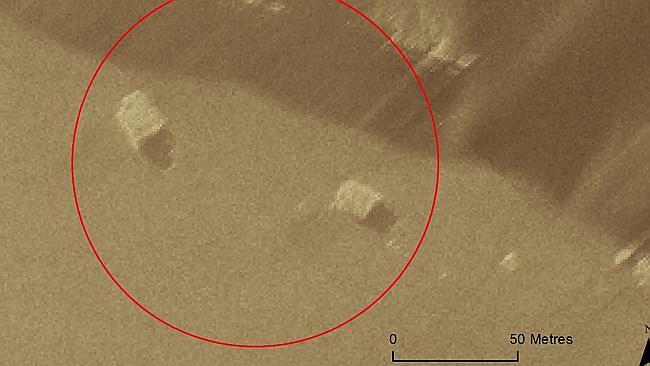 The search has previously detected shipping containers on the ocean floor. Two of the Fugro ships traverse up and down 2.4 km-wide (860 yard) strips of the sea floor, pulling via a cable a towfish that contains sonar equipment, in a technique often called "mowing the lawn". The towfish coasts around 100 meters (110 yards) above the sea floor, sending out sound waves diagonally across a swath, or broad strip, to produce a flattened image of the seabed. The ATSB has routinely released detailed data from Go Phoenix, but has not done so for the Fugro ships. Experts have cobbled together an analysis from glimpses of the sonar use and data in videos and images posted to the ATSB website. From that, they've gauged the EdgeTech sonars are operating at swathes beyond their optimum capabilities, resulting in poor quality images and leaving side gaps in coverage. "It makes no sense to be using fine scale tools to cover a massive area; it is like mowing an entire wheat field with a household lawnmower," said Rob McCallum, a vice-president at Williamson & Associates. 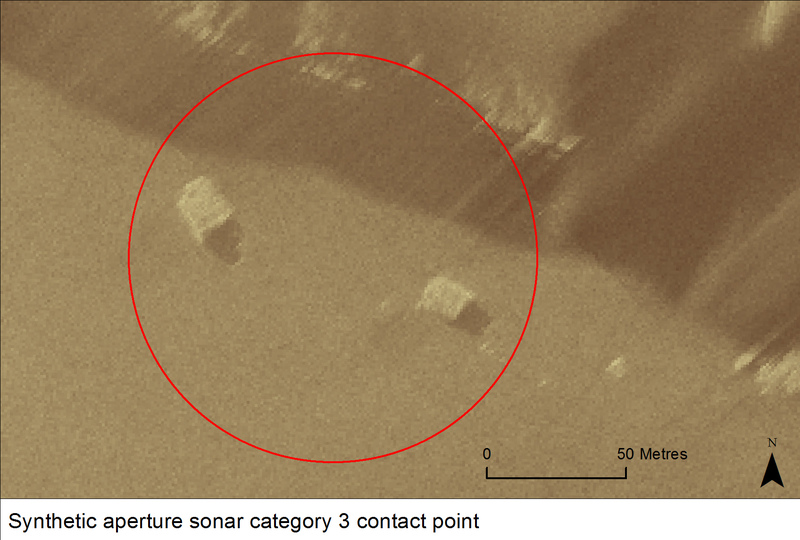 Fugro deputy managing director Paul Kennedy said the sonar is running within its capabilities, noting the system identified five "debris-like" objects in 700-meter (765 yards) deep water at a test range off the West Australian coast. "The test range gives us full confidence the sonars will see the debris field when we cross it," he said. 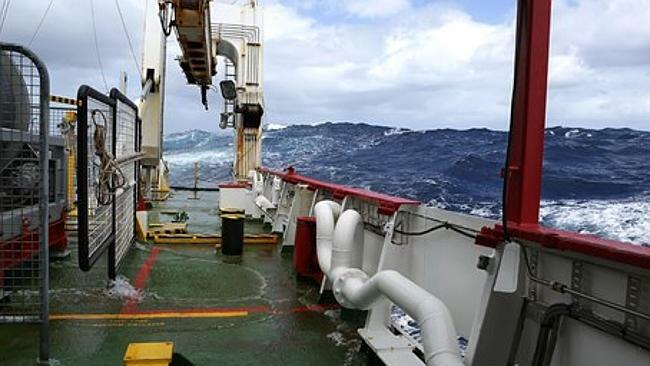 Stormy weather ... Fugro Discovery experiencing bad weather in the search for MH370. Fugro is known for its expertise in high-quality low-resolution mapping of sea floors but has far less experience than some of the rejected bidders in deepwater aircraft searches. It has been involved in 17 search and recovery efforts for aircraft or ships over 15 years, compared with some of the bidders who search for 4-5 aircraft every year. "We are continuously reviewing the search data as it comes in and we are satisfied that the coverage and detection standards we have specified are being met or exceeded," ATSB Chief Commissioner Martin Dolan said in an email.